INDONESIA: An Indonesian farmer has been discovered inside the belly of a giant python after the swollen snake was caught near where the man vanished while harvesting his crops, an official said yesterday (Mar 29). 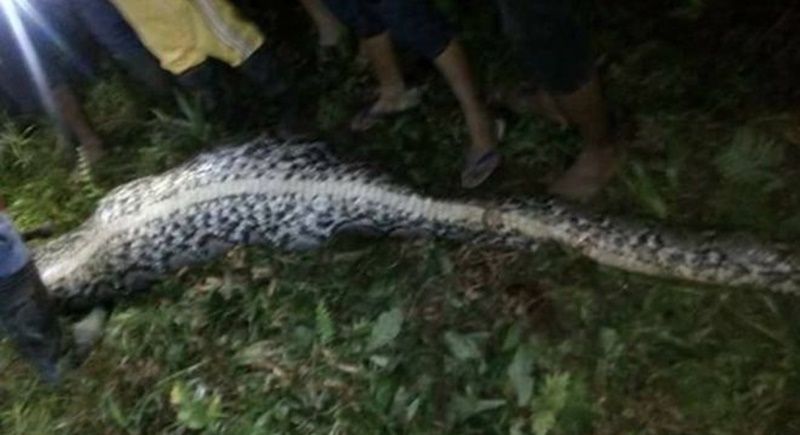 The body of 25-year-old Akbar was found when local people cut open the seven metre python after it was found bloated and slithering awkwardly in the village of Salubiro, on the eastern island of Sulawesi on Monday (Mar 27). “We were immediately suspicious that the snake had swallowed Akbar because around the site we found palm fruit, his harvesting tool and a boot,” said Junaidi, a senior village official, who like many Indonesians goes by only one name. Worried relatives launched a search for Akbar after he failed to return home from a trip to the family’s plantation last Sunday (Mar 26). The breed of snake, which regularly tops 20 feet, is commonly found in Indonesia and the Philippines.